As you head south on Fort Benning, Georgia’s Sightseeing Road, you’ll pass El Zapata’s Mexican restaurant before moving uphill, where you’ll come across a long fence that obscures the view of prying eyes. Although the simple chain link fence, woven with strips of brown material, may intrigue some passersby, the men of the 75th Ranger Regiment call it home. Now, for the first in history, a female Ranger will join them. At the tail end of 2016, three female soldiers started a RASP 2 class — the Ranger Assessment and Selection Program, for NCOs in the rank of staff sergeant and above as well as all officers who wish to be leaders in the 75th Ranger Regiment — and two made it to the final board. According to the U.S. Army Special Operations Command’s public affairs office, one of these women was officially selected and earned the right to wear the coveted Ranger scroll and distinctive tan beret at the course's conclusion in December. That would make the 75th Ranger Regiment the first special operations unit to have a female soldier graduate their selection course. To understand the impact of a female Ranger, you must first understand the unit she worked so hard to join. Most don’t know anything about the 75th, and for those who live the hard life under a tan beret, that’s just fine. Even their official mission statement is vague: “to plan and conduct special missions in support of U.S. policy and objectives.” Further muddying the waters, there is a leadership school on the same post that has no official affiliation with the 75th. You may have heard of it before, it’s called Ranger School. So who, or what, is the 75th Ranger Regiment? The short answer is that it’s our country’s premier special operations raid force. They are the barrel-chested freedom fighters who are responsible for killing or capturing more high-value targets than any other unit in the military during the war on terror. They have worked at the highest levels of the shadowy special operations world, where they humbly over-deliver no matter what the mission may be. They pride themselves on the execution of three simple principles: speed, surprise, and violence of action. They’re particularly good at that last one. And, until recently, they were an all-male unit. The Department of Defense announced the reversal of its longstanding policy of excluding women from serving in combat military occupational specialties and their corresponding units in 2013. Time was allotted for SOF units to conduct their own review of unit requirements, and ask for exceptions to the new policy if necessary. No exemption was given to any special operations units. In light of the changed policy, it was only a matter of time before a female service member would try out for one of the various SOF units via their specific assessment and selection courses. In September 2016, Army Times reported that the first woman to throw her hat into the ring — a staff sergeant — unsuccessfully attempted the 75th’s Ranger Assessment and Selection Program 2, or RASP 2, in June. Her attempt came on the heels of the three female officers who had already made history by completing the Army’s prestigious and notoriously difficult leadership course, the U.S. Army Ranger School, in 2015. That course is run by the U.S. Army Training and Doctrine Command, however, and has no affiliation with the 75th Ranger Regiment, which falls under the Army Special Operations Command. Graduating from Ranger School, as big of a milestone as that is, will not gain you entrance to the 75th Ranger Regiment’s elite ranks. For that, you must pass one of the two selection courses that the Regiment runs: RASP 1 or RASP 2. Formerly known as the Ranger Indoctrination Program, RASP 1 is for soldiers in the rank of sergeant and below, and is eight weeks long. The vast majority of those who serve in the regiment enter through this route. It’s known for being physically brutal, and to date, no female soldiers have attempted the course. RASP 2, on the other hand, is only three weeks long, but is every bit as selective. Only leaders who have extensive prior experience and glowing recommendations are even invited to attempt the course. Regardless of whether a candidate attends RASP 1 or 2, the same standards must be met. These include (but are not limited to) completing a five-mile run in less than 40 minutes, a 12-mile ruck march in under three hours, and a battery of written tests, as well as psychological evaluation and an appearance before a board of senior Rangers. The standards may not seem very harsh on the outside, but the candidates are competing against quite a few other very motivated individuals for a limited number of slots. The bare minimum is almost never enough. Due to the sensitive nature of the unit’s missions, no details were provided on the background of the 75th’s first female Ranger. However, through unofficial channels, Task & Purpose was able to verify that it was an officer who graduated. 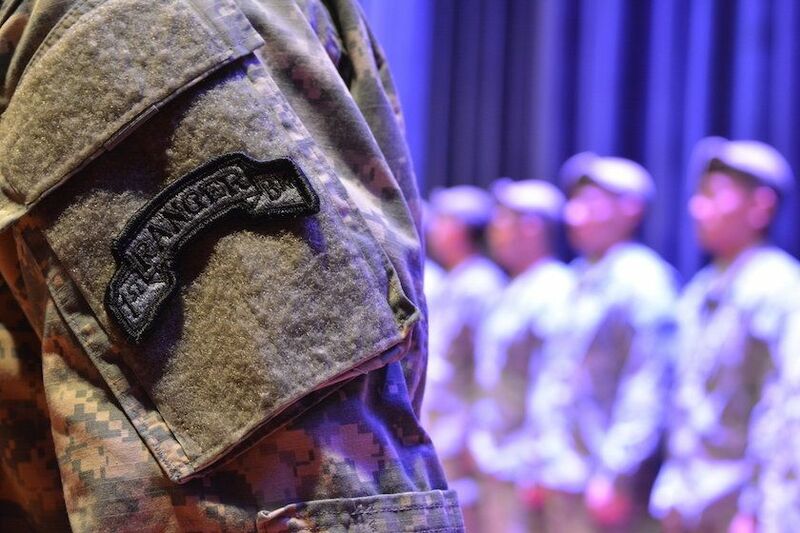 Although many female officers have passed the Infantry Basic Officer Leadership Course (IBOLC — the course needed to become an infantry officer), none have had enough time in service to apply for the 75th Ranger Regiment. That means whomever the female officer who passed RASP is, she is likely to have been selected for service in a support role for the regiment. Support roles include anything from a medical officer or fire support officer who directly supports the line platoons on missions, or positions at the battalion or regiment level in areas like military intelligence or logistics. This isn’t the first time that a female soldier will have served in a special operations unit though. Outfits such as the Army’s 1st Special Forces Regiment, otherwise known as the Green Berets, do not require their support soldiers to go through the same selection process as their operators and have had women assigned to support positions within their subordinate units for quite some time. The same is true of the Army’s elite 160th Special Operations Aviation Regiment, and a host of other special operations units. 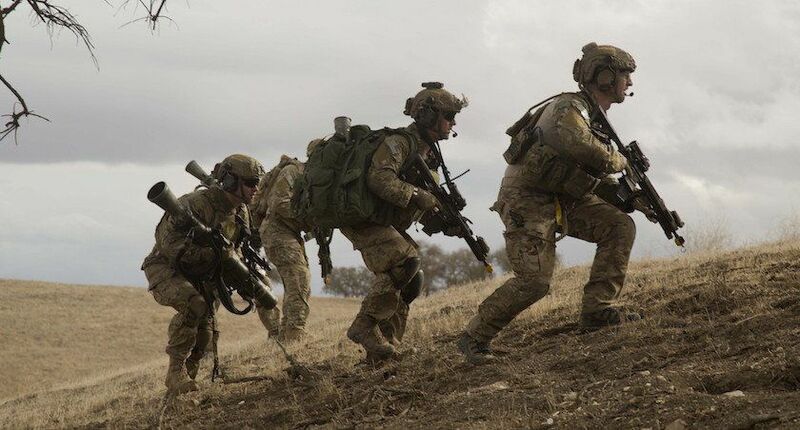 The 75th Ranger Regiment is unique in that it makes everyone from the guy handing out supplies to the one kicking in doors pass the same selection process. Up until this point, the 75th only had female soldiers attached for specific tasks — like the cultural support teams — but never assigned to be organic to the unit. For Lt. Col. Charles Faint, a career Army military intelligence officer who served in the 5th Special Forces Group, the 160th Special Operations Aviation Regiment, and the Joint Special Operations Command, gender was rarely a key factor. “I served in Afghanistan and Iraq seven times, each as an intel enabler in Special Operations units. Six of those tours were with the National SOF Task Force,” Faint told Task & Purpose, who is now an assistant professor at West Point after completing graduate school at Yale. Now that at least one woman with a support MOS has made it through selection, it’s only a matter of time before one with a combat MOS makes it through, and these issues become reality. The question is not if, but when. What lies ahead for the first woman to pass selection for the 75th Ranger Regiment? She’ll likely have follow-on training to complete, as well as a permanent change of station move to conduct before she signs into her new unit. Because she is an officer, she will have to attend the Army’s Ranger School if she has not already, as is required of all officers in the 75th. Once she finally arrives at her assigned Ranger battalion, one of the first orders of business will be to receive an initial counseling, which varies depending on the person giving it, and the job and rank of the new Ranger being counseled. There will be one stark truth delivered during that initial counseling though. How long she decides to stay behind the long, brown chain link fence will largely be up to her. She will be reminded, as all Rangers are, that you earn your beret and the right to stand in that elite formation every day. It’s easy to get here, a lot harder to stay. Special thanks to The Havok Journal for contributing to this reporting.